Find the post for the contests and leave a comment letting me know who you think will win. (you must "like" the page in order to be entered) Those who choose the winning team will be entered in a drawing for their choice of one of my NFL hats! I must have at least 20 comments for it to be worth while, so once you get there, please share the post with your family and friends. Good Luck everyone - Lets make this fun! This is available in Youth/sm adult size. I do have logos for a few other teams that I have not had time to make hats for yet. If your favorite team is not pictured here, let me know what it is and I will see if the logo is available. I also am accepting new orders. Just click on the "shop now" on the left side of the facebook page to take you to my shop. The first one I made using the waffle stitch - at least how I think the waffle stitch is. It looks slightly different than what I remember from another blanket, and maybe I should have looked up directions to make sure I was doing it right. Even if it's not correct, I like how it turned out. Don't you just love my lampshade as the model? One of thes days I will break down and buy one of those fake head displays to use for pictures - but until then - work with what ya got! This second one was a little harder to get a picture of the texture. My camera kept wanting to take a photo of just a plain red scarf. It isn't even close to being finished, but I love it and couldn't wait to share. I have the directions written down and graphed already in order to post it for sale when I have a final picture. I love how the hearts turned out. What do you think? 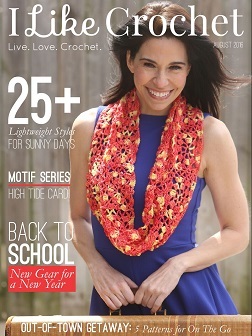 My next one, I'm going to do the hearts a different color than the main scarf and see how that turns out. Now, I'm sure there are most likely other things out there that are similar to this, but it was fun to come up with my own. I thought the pattern was easy to follow. The only issue was the pattern was only for an adult, so I had to just adjust it for the smaller versions. I love the baby size (anything baby is cute). Wishing you all a warm, safe and wonderful weekend! Can someone tell me why blogger sometimes sends out duplicate posts? To those of you who follow by email, I appologize. I don't understand why you have received duplicate emails of posts from days earlier. I don't know how 2 posts were updated or posted an hour ago - since we weren't home. I noticed it when I checked out the blog list I follow and mine were on top. Has anyone else had this issue, and if so, how did you fix it? I had a request to make a Utah Jazz scarf, but they wanted the Jazz logo to be part of the scarf pattern and not on top. The only graph I have ever made or followed, was for the American flag afghan I made for a Veteran in my town. (he was an amazing man and I knew he would appreciate it and respect it). 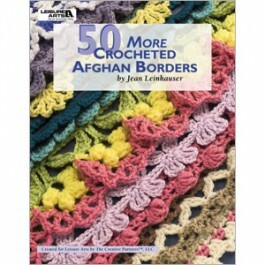 The flag afghan really only used 1 or maybe 2 strands of yarn attached at the same time, so it was not difficult at all. This project, I knew would take some thinking and many working strands of yarn at a time. I graphed out the logo and started crocheting. The first attempt didn't work out how I thought it should, so I ripped it apart :( I re-graphed it again, hoping to make it better and sure enough - after crocheting a bit - I didn't like that either... so, I slept on it and decided to pick it up again the next day. This time, I altered the way I did the stitches just a little and was on a roll!!! I started the graph on Jan 16th and here it is the 20th and this is what I have accomplished. I'm quite pleased with it and have graphed it out on the computer for future use. It could be worked into so many differnt things- scarf, pillow, frame it and hang it, but that will have to wait for now. I have a bunch of hats that need to be made. And the latest addition to the NFL hat family I have created is the Rams. I started the base of the hat while waiting for the logos to arrive in the mail and had to start over when they arrived. The shade of blue was slightly different than I thought it would be and their 2nd color is gold. The "gold" yarn would not have looked good with the logo, so luckily I hadn't started the spikes of the hat yet. Though there are limits on yarn colors to match, I think this turned out great. With the NFL Playoffs in full swing and some great games going on, these hats are going fast! If you are looking for a way to support your team - here it is. I have a good selection of team logos currently available and can order many more if needed. Not all team logos are available, so if you don't see your team listed, please email me the name of the team and I will let you know if I will be able to get it. You may custom order hats: with or without the mohawk and with or without the earflaps. To do so, please email me at craftingfriends4you@yahoo.com with details and I will be able to send you an invoice. Welcome to 2012 Everyone !!! I hope everyone had a Merry Christmas and Safe and fun New Years. I am not usually one for New Years Resolutions, but this year I actually made a few. 1. I Love to cook and have a cooking blog www.katewscookbook.blogspot.com I get tired of cooking the same things over and over again, so this year I decided I would be better about making a Monthly menu and trying a bunch of new recipes. By doing this, I will not be making as many trips to the grocery store (saving us $$) AND it will help resolve the issue of wondering what to cook. I already have the menu for the month of January complete and it is posted on the blog. Most of the recipes are either written on the blog or if you click on the name of the food, it will link you to the recipe. 2. I have been so busy making orders for customers (which is fabulous) that I have not had time to write up a few patterns I have created. I made a blessing dress for a friend and stopped in the middle of it to make hats. I pulled it out the other day to finish and realized I might not have written all the directions down - So, this year I am going to be better about completing projects BEFORE I start a new one. Now that the dress is complete, I am starting a 2nd one this week to make sure the directions are understandable and then I will post the pattern for sale. I want to say thank you to those of you who follow my blog and those who just check in every once in a while. It is surprising to me to see the many different countries that people are from. When I began this blog last year, I never imagined so many people would visit. It amazes me how fast things can be shared. I would LOVE to see any of your projects made from patterns posted here. If you feel up to sharing your creations, please email pictures to craftingfriends4you@yahoo.com .